This comes in a variety of forms depending on what the training is that you require, this may be Fire Warden Training, basic staff training, health & Safety training, fork lift truck training or even first aid training. We offer the 1 day emergency first aid at work training course. We can also run ‘on-site’ emergency first aid at work courses at your premises or at a local venue of your choice. We are able to offer the new HSE approved Emergency First Aid at Work course. It is appropriate for nominated emergency first aiders, or anyone requiring a comprehensive one day first aid course. This course can be adapted to suit a particular audience and is ideal for lower risk businesses, in accordance with the Health and Safety (First Aid) Regulations. The course is run over one day and includes both theory and practical sessions, in a relaxed atmosphere, designed to boost a candidate’s confidence. The Emergency First Aid at Work course replaced the First Aid Appointed Person course in October 2009. Our training courses are competitively priced and we welcome the opportunity to beat any equivalent training quote. The training venue should be quiet and undisturbed, or based off-site to ensure peace and quite. 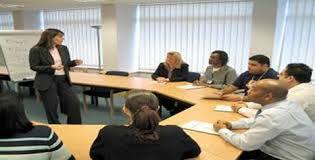 Staff attending are requested to remain for the entire length of the training session. * Upon successful completion of this one day course, first aiders receive certification to allow them to practice for three years after which a re-qualification course becomes necessary. It is strongly recommended by the HSE that you update your skills by taking an annual refresher.